Happy Saturday, everyone! 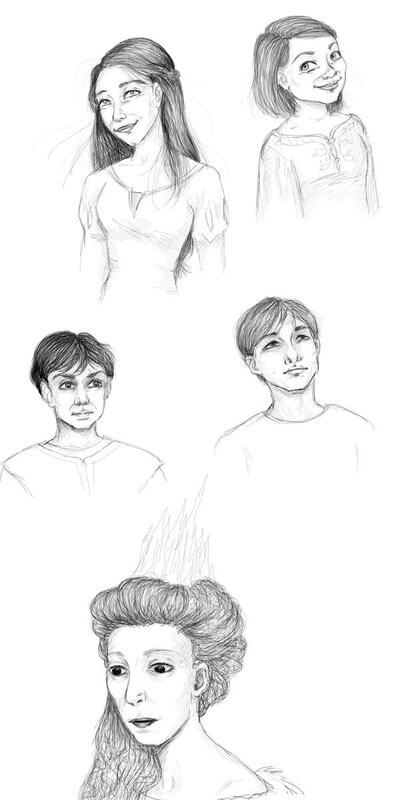 On this day, the last “real” day of the Nine Nights of Narnia (hard to believe), I’d like to share some of my old fan art of the Pevensie children and Jadis. This is from MANY years ago, so don’t judge me too harshly, LOL. I love drawing and it has always been fun for me to sketch out my favorite characters from books and movies. Do you ever draw characters that you love? If so, who are your favorite characters to sketch? When you watch movies or read books, do you feel the undeniable urge to create art about or inspired by them? I know I do. I can’t play Ni No Kuni with the Philosopher without dying to draw!! Happy Saturday! Stay tuned for a wrap up post tomorrow!